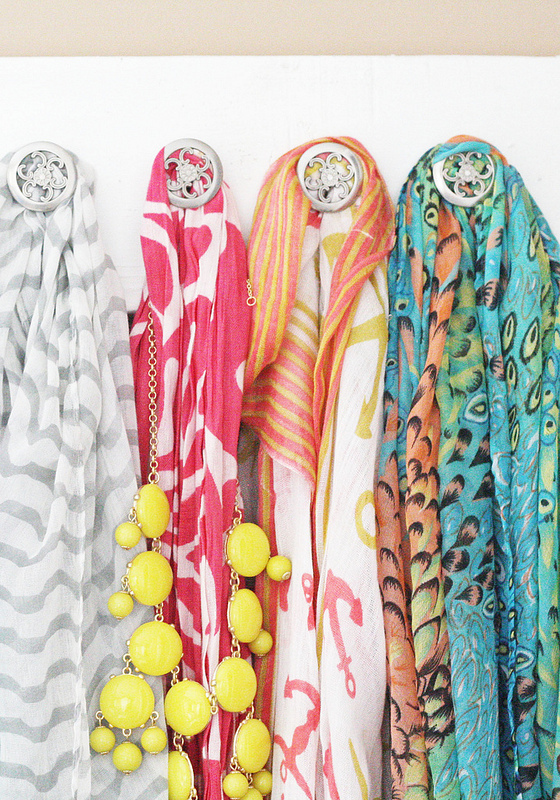 I have been seeing so many wonderful ideas for hanging jewelry. I needed some space to hang my jewelry designs in my work space so I picked up a piece of wood, screws, and pulls, and got to work. 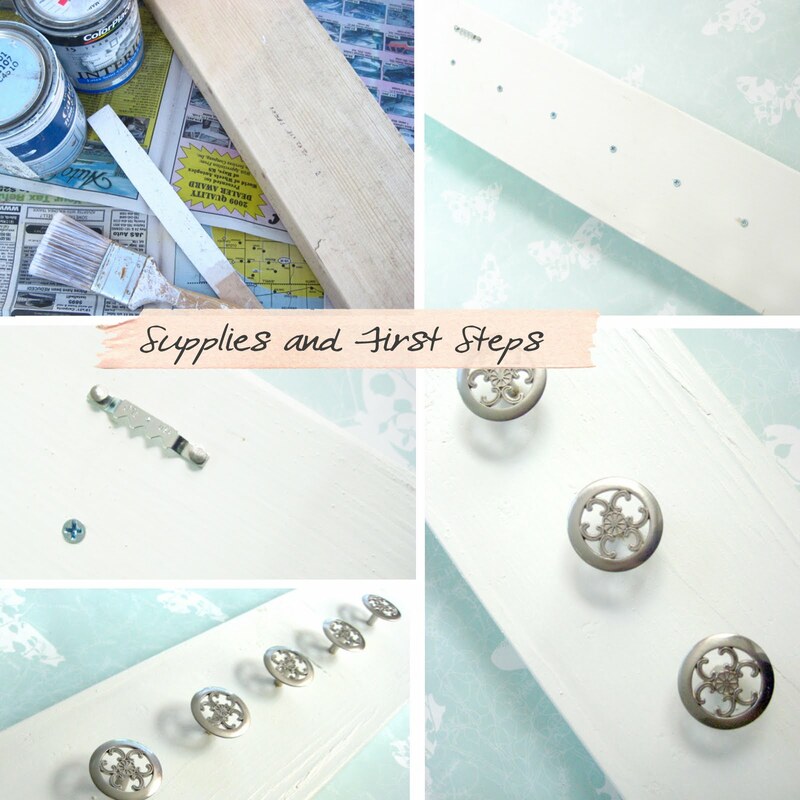 Prime and paint your wood, Space and drill in screws, add two hangers, and your pulls of choice! I love getting ideas and inspiration from other blogs, so I hope to do the same for you! Good for you Anna. I love seeing women use power tools. We can do it too. Lovely new necklace holder you made. Thanks for your input too on my navigation bar, your comments mean alot to me. Anna, Avery wore one of her new headbands today to school, sooo cute! No link on the tape downloads?! I love this! It turned out really nice. 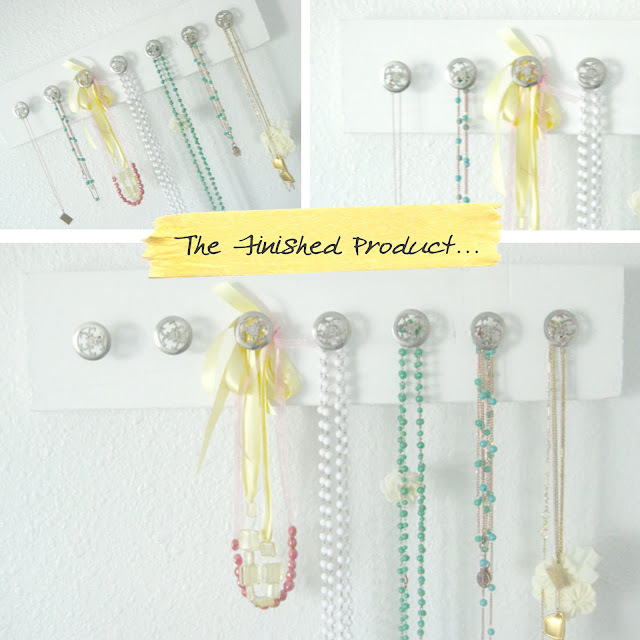 This is such a great idea...i want to make one now! Que idéia fofa! Assim meus cordão não ficarão mais emaranhados!! Love, love, love this! 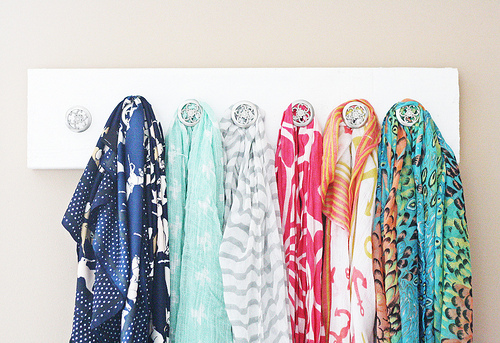 How much better would this make my closet look? I'm going to save this one to use later, for sure. this is sooo awesome anna! i love it!! you did such a great job and your jewelry is just beautiful!! These turned out wonderfully Anna! Yeiii good job, looks so cute! I should ask my bf to teach me how to use the power drill too! It's so pretty! I want to make one. Once again I am impressed with your creativity, great little project!! Have a great weekend!! Awesome job! I love the pulls that you used. And a jewelry store may not be permitted to even buy scrap gold from the public. Both places have to be driven to, as well, which wastes both time and gas. Instead, choose Dollars4Gold for all your gold selling needs. You can rest assured that you will get the best price for all the gold you end in, and that your transaction is handled in a safe and secure manner. i'm happy you're enjoying the tape strips, Anna. :D i like how you used them as labels for your images. It really looks amazing! Nice work with that power drill! Going to start following now, thanks for tons of fun and inspiration. i am so in love with this...i sooo need a new jewelry thing like this! Anna this is such a brilliant idea! I'm so going to make one of these for my daughter. Thanks!